Discourse has a feature where it can periodically send you an email telling you a few highlights of the forum you may have missed. By default Discourse will do that if you haven’t visited the forum in a week. 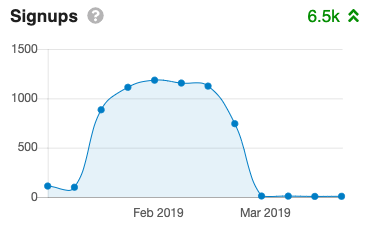 Well when we switched to Discourse, I hadn’t thought through all the implications of this, because we have thousands of users who haven’t visited in the past week (mostly accounts from bots). And the forum did indeed try to sent emails to each of them, causing a lot of bouncing emails, slowing down the forum, and using up half of our monthly email quota. Because we need that quota for our regular notification emails (for replies, PMs, etc), I just disabled the digest feature until we could come up with a better solution. That solution was to disable digest emails for everyone who hadn’t visited the forum in the last 30 days, and enable it for everyone who did. Unfortunately I couldn’t detect who had manually changed it themselves to preserve their settings. But you can now manually enable or disable it if you like. You can also change the frequency of digest emails. Out of curiosity, is that quota enforced by Discourse, or by your hosting provider? Our email provider. We use Mailgun who give us 10K/month for free, which should be more than enough for us. But not when we’re sending thousands of emails to accounts signed up by bots (we were getting over a thousand new accounts each week before we migrated to Discourse, now that number is a dozen max.) If we legitimately need to send more than 10K emails we’ll investigate our options, but there’s really no point wasting it on bots! Out of curiosity, are the bot accounts culled or does the member register just bloat indefinitely? Discourse is gradually culling users who never used their accounts. It’s not specific to bots, but it’s mostly bots. It’s doing an amazing job too. I think it removes inactive accounts after 60 days and I see pages and pages of log-entries noting this. On the phpBB board, if the stats are correct, we were getting 150-250 bot signups per day that we were unaware of because they never posted messages. When we imported the data here, this became more apparent. Hmm, 60 days you say. A few years ago I was mostly active on the forum around the time of IFComp. I’d spend my time on other hobbies from, say, January to August, and then come back. So if this system had been in effect at the time, my posts would have been made under different accounts each year. And perhaps I wouldn’t have bothered signing up the third or fourth time. I think the general idea is sound, especially if there are hundreds of bot signups per day. But perhaps the timeout should be one year rather than two months. As an addendum to what Dannii said, the system won’t even let us manually delete someone who has a minimum number of posts. The automatic process is deleting bots and accounts that have never participated substantially.